Apart from the obvious—the 2017 marks the 500th anniversary of Luther’s 95 Theses and the Reformation they sparked—why bother exploring what it means to be a Lutheran today? Isn’t Lutheranism a vaguely outmoded way of thinking, believing, and behaving? What relevance could it have for those habituated toward the latest viral video or breaking stories of tragedy and scandal? Amid those questions and observations, A. Trevor Sutton posits the answer that is Being Lutheran: Living in the Faith You Have Received—for 2016, 2017, and beyond. 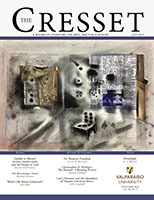 While one can’t judge a book by its cover, a well-chosen cover can convey the content. 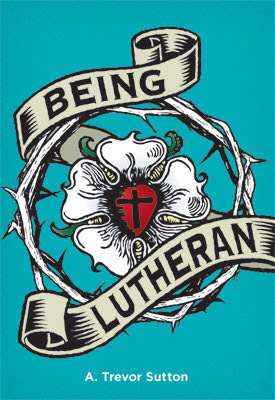 While one might expect to see Luther’s seal on the front of a book about Lutheranism, the crown of thorns encircling it here points beyond the inviting white rose to the agony and scandal of Christ’s black cross in the center of the red, beating heart. That image suggests that being Lutheran has little to do with Luther himself but everything to do with the Crucified and Risen One who meets us in our humanity. At the outset, Sutton explains that he’s concerned with being Lutheran; thinking and acting are not disparate realities but two modes that merge and collide in life (xvii-xviii). While the historical details and theological tenets of Lutheranism are addressed in the book, they are placed within the unfolding context of life and complemented with vignettes of individual Lutherans who embody and exemplify each aspect. Comprised of two parts, the book approaches Lutheranism through the lenses of “What We Challenge” and “What We Cherish.” Each part has five chapters, and each chapter focuses on a particular adjective. 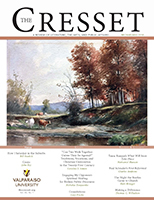 On the “challenge” side are chapters entitled “Closed,” “Lukewarm,” “Confused,” “Lazy,” and “Pastel.” Although it would have been easy to launch forth on Lutheranism’s rightness “against the world,” Sutton instead embarks upon the fields of brokenness, isolation, and complacency that affect and infect humankind as well as the Church. 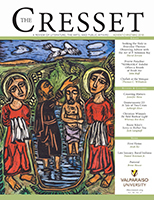 And while one might expect “What We Cherish” to rise in a triumphalist celebration of Lutheranism’s tight theological system, the author instead praises the paradoxical: “New,” “Ordinary,” “Unresolved,” “Purpose,” and “Local”—reminding readers that Christ uses the humble and works in unexpected ways. It matters that Sutton begins in the surprising place of a paean to the concept of “open source.” Software is “open source” when the original source code is made freely available and may be redistributed and modified. Sutton points out many cultural applications of the term and addresses how closed life is in our world and its particular societies, whether due to lack of electricity, technology, financial resources, racial harmony, or any number of barriers. Sin—the ultimate barrier—is our default positon. “The urge to be closed dwells deep in our bones” (5) and cuts us off from God and one another. But this is the ancient human predicament that Jesus came to undo. Given this context and Luther’s opposition to the barriers the pre-Reformation church had put around the Gospel, Sutton sees that “open access to God’s grace is at the heart of being Lutheran” (9). Lutherans struggle as much as anyone with a closemindedness that favors apathy and indifference over the active righteousness that serves God by serving the needs of our neighbor. As an example, Sutton highlights the stark contrast between the German Evangelical Church of Hitler’s regime and the Confessing Church represented by Dietrich Bonhoeffer (45-49). In the chapter titled “Confused,” Sutton juxtaposes our erroneous intellectual traditions and cultural practices with the authority of truth as embodied in Jesus. In so doing, it becomes clear that Luther’s disagreement with the establishment church centered on the concern for biblical truth and the faith handed down since the apostles. Sutton contrasts our desire for amusement and escapism—being lazy—with the incarnate work of Jesus and the transformation it effects in his followers. Contrary to the idea that the finished work of Jesus makes Christians, especially Lutherans, exempt from doing anything, Sutton asserts that “made new in Christ, our labor is now directed at the well-being of others” (87). Being Lutheran means doing good works to serve others in faith—not to earn salvation. In “Pastel,” Sutton focuses on the danger that comes from blending in too much, or having norms that are indistinct from cultural norms. Luther held that Christ is the “form” that adorns our faith like a color or light adorns a wall (106). If anything, Lutherans have license for cultural disobedience in conformity with Jesus himself, who clashed boldly with the entrenched distortions of religion and life. The second part of Being Lutheran (“What We Cherish”) begins with “New”: the essential reality of Christ’s resurrection and the eternal new hope it brings. If Jesus Christ truly is “the harbinger of the new creation” (132), then we cannot simply continue to behave as if all is still broken and nothing has changed. In the chapter “Ordinary,” Sutton discusses how study and teaching of scripture enabled Luther to behold the all-sufficient Christ who died and rose to conquer sin and give new life. Because the new has broken into the old, the ordinary has been transformed. Even the materials that the incarnate Christ used to carry out his work were ordinary: soil and spit, water and word, bread and wine, wood and nails. Recognizing that provides insight into why Luther ridiculed and condemned the medieval church’s “holy relic” obsession that drove the Crusades. Still, Sutton points out, there continue to be Christians who “chase after extravagant and expensive, glitzy and glamorous objects” (156). In contrast, Lutheranism values the sacramental—the holy gifts of Christ himself. Continuing in that vein where ordinary and extraordinary coexist, Sutton writes in the “Unresolved” chapter that Jesus never resolved every question but always affirmed God’s wisdom. This, too, fed Luther’s theology and led him to break with philosophically and logically inclined theologians—from Aquinas and Erasmus to Calvin and Zwingli—on matters from freedom of the will to Christ’s presence in the Lord’s Supper to how we can be saint and sinner at the same time. Rather than embracing the purely logical, Luther settled for the biblical. He left the tension unresolved, the mysteries of God intact (185). If certain things are beyond figuring out, and if God meets us in daily life, then everything matters and nothing is insignificant. This is the focus of the chapter “Purpose.” Luther knew it was wrong to elevate only those with holy or “religious” vocations while relegating as inferior those who farm and feed, those who make and marry. For Luther, one’s vocation was not a way to earn salvation or privileged status but the way through which God sustains and serves his Creation; they are “the masks of God, behind which He wants to remain concealed and do all things” (213). With that acknowledgement in mind, Sutton reminds his readers that the global is nothing but the sum of the local. And lest we think of Jesus as “out there somewhere,” it is grounding to see that “Jesus is the local embodiment of the global Creator” (228). Congregations gathered in worship through Word and Sacrament are therefore places of people in which the Lord is really and locally present. Sutton’s goal for this book was to posit the theological designation “Lutheran” in the nexus between thinking and acting, being and believing. Being Lutheran is a highly readable, accessible encounter with the distinct content and character of the faith. In addition to the personal vignettes and points of daily life application at the end of each chapter, the book includes a Leader Guide to help facilitate individual or group study. Ninety years ago, shortly after World War I ended, Swedish Archbishop Nathan Söderblom, a pioneer of Christian ecumenism, wrote a chapter titled “Why I Am a Lutheran.” He asked why anyone would want to uphold denominational division in a time when millions of Christians from different confessions and nationalities had fought and killed each other. Like Sutton, Söderblom asked why someone should identify as a Lutheran when Martin Luther himself “vehemently forbade his friends to call themselves after him, whose body would soon become a sack of worms” (73). Söderblom found his answer in realizing that the gift and understanding of Baptism which he received, the hymns and worship with which he was raised, the grandeur and knowledge of the Bible, and the rigorous theological discipline rooted in biblical scholarship which he so prized were all due to Luther and the Reformation. That same year, 1926, my paternal grandfather left the pastorate of the German Evangelical Synod (the Lutheran-Calvinist hybrid that eventually became the United Church of Christ) and became a pastor in the Lutheran Church—Missouri Synod, the denomination in which I serve and whose publishing house has brought us Sutton’s Being Lutheran. Even though my grandfather was a lifelong member of that previous church body known for Reinhold and H. Richard Niebuhr (and their father, with whom my grandfather served for a time), he left due to unease at growing mergers with the Reformed, but also due to the increasing departure from the German language. Theological ties are never purely exempt from cultural identity and expression. Quite different from my grandfather, my first memory of Lutheranism was as a child growing up as the son of a missionary pastor in the predominantly Roman Catholic Philippines. I identified as a Filipino even though I was an American of German heritage, but I knew that I was a Lutheran because of what was cultivated at home and in worship. When I am with Lutheran brothers and sisters from anywhere in the world, there is a link that goes beyond language and culture—Christ Jesus, the Son of the Father, sealed by the Spirit, who unites in faith. So, why focus on being Lutheran now, amid all the turmoil and tumult in the world? Because Lutheranism is a vibrant expression of faith and life within the one, holy, catholic, and apostolic Church. It is not a “cultural inheritance” (252) but a vital way of believing and living in Christ the Crucified and Risen One, whose grace given and received is ours to share for the life of the world. Joel Kurz is pastor of Bethlehem Lutheran Church in Warrensburg, Missouri, and a contributor to The Center for the Care of Creation. Söderblom, Nathan. “Why I Am a Lutheran.” Twelve Modern Apostles and Their Creeds (Freeport: N.Y., 1926), 72-85.